Case closed against chaperones who fired warning shots when Arab mob attempted to lynch group of 25 children on Bar Mitzvah hike. The Central District Attorney's Office decided Monday to close the investigation against two residents of Samaria who shot and killed Palestinian Authority resident Mahmoud Odeh during an attempted lynching of a group of Jewish children last year. The State Attorney's Office stated that the decision to close the case on the grounds of lack of guilt was made after examination of the evidence and the relevant circumstances in the case. 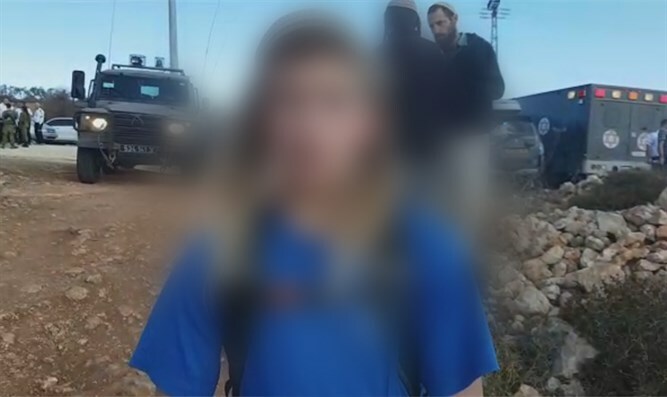 Odeh, a resident of the village of Qusra, was part of an Arab mob which attacked a group of 25 schoolchildren who were on a Bar Mitzvah hike on November 30. The attackers creamed at the children and threw stones at them. The group fled to a cave in the nearby hills, where their attackers continued to chase them, grabbing their cell phones and backpacks.. The two adults chaperoning the hike drew their firearms and opened fire, striking two of the attackers, one of whom, Mahmoud Odeh, died of his wounds. The decision to close the file on grounds of lack of guilt was made after the evidence gathered revealed that the shooting was carried out in self-defense. The investigation revealed that the shooting took place when the attackers stood on a higher elevation than the children and threw stones down at the hikers. In light of this, the two suspects' testimony of having fired warning shots in the air was found to be consistent with the wounds sustained by the two attackers as they threw stones from above. Another source of support for the two was found in the testimony of a resident of Qusra who testified that the suspects fired in self-defense only after the stones were thrown at them. Several attackers were indicted by the Military Prosecutor.